Ohhh Lulu...: Baby Makes... clothes! awesome!!! 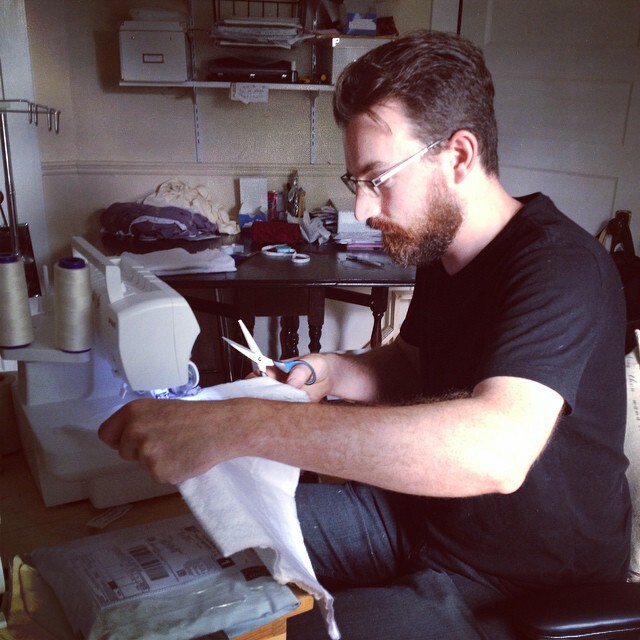 of course we love pics of cute guy with a beard sewing stuff for his baby ;) love that! So cut especially to the top most outfit. Your baby clothes are adorable!! I wish I could sew. You should do that for a shop idea when you find a moment... I would love to purchase some of outfits. Have a wonderful maternity leave and enjoy ever minute of it. Even the round the clock feeding, they are exhusting but so beautiful. you are so much more active than i was at the end of my pregnancy. I definitely cleaned alot but other than that I watched two season of nashville and *tried* to get in sleep. Everything you made is super cute. You should also think about making your own babywearing wraps they aren't that hard and since you have a stash of fabric I bet yours would be pretty unique. You'll be so glad you spent the time on the cloth diapers. We bought all in ones for our daughter, but if I have another go at it I'll do exactly what you did (buy covers and make prefolds). You are going to have the most fashionable baby ever! I love the clothes you made! And I love that Dan helped you out! Awww, Dan, that is so sweet. Speaking of sweet... THESE BABY CLOTHES. I'm having a cute overdose! They're so adorable! Everyday diaper bags are just that, best baby changing bags that are not made by designers or have special meaning to you. They are just your average everyday diaper bag. Coming in a variety of colors, some of them even match your stroller or your child's outfits. They are made of sturdy materials such as washable vinyl or washable cotton. Really it is looking like very awesome. I like to made baby cloth. I made some baby cloth for my little kids 3 years ago. I also like baby stroller. Great Job i appreciate your post. Thanks to share this helpful post. It's a good way to keep your little lovely babies safe, by using This Baby Stroller. baby stroller for my little kids 3 years ago. I also like baby stroller. Your man is awesome. But that's expected since you are amazing. Having a baby is the most beautiful, breathtaking and amazing experience a parent has in life. Being a part of you, you as a mother and father will always want the best for your sweet child. Wow, awesome homemade baby clothes i think you need a cute baby for your model. You can cook, clean, email, shop, play with your other children, all the things you would normally do only now you have a baby strapped to your front.